Don’t worry, we’ve all done it! What i hear you ask? Had one too many the night before! 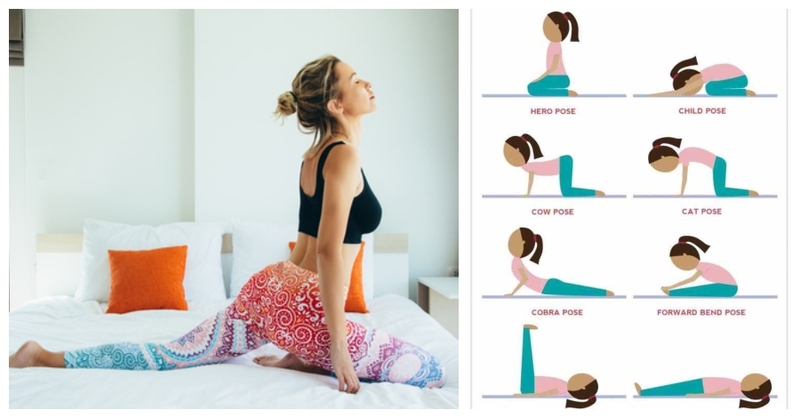 Here we have five amazing yoga stretches that will help ease that hangover away. The best bit…is it’s all from the comfort of your bed and it only takes 15 minutes! You can ease tension, reduce bloating and help headaches with these five poses. Plus if you fall asleep or just don’t feel like getting up, you are already in your bed, so no problems there. Do these moves for about three minutes each, breathing deeply to help get your blood flowing, also this will give you energy and help you feel a little better for the day ahead of you. This flat-out position improves memory, reduces tension, lowers blood pressure and reduces headaches! 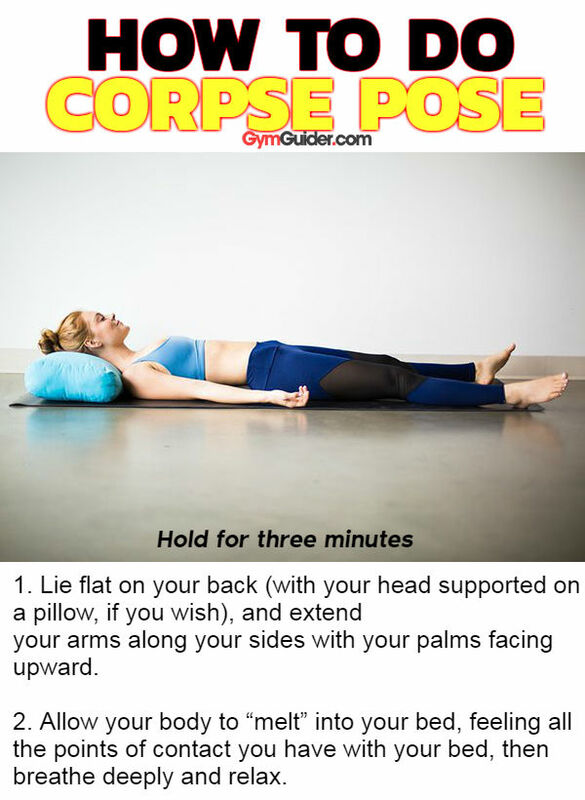 Lie flat on your back (with your head supported on a pillow, if you wish), and extend your arms along your sides with your palms facing upward. Allow your body to “melt” into your bed, feeling all the points of contact you have with your bed, then breathe deeply and relax. Use this pose to relieve and revive your lower back by elongating the muscles that run along your spine while also stretching your glutes, shoulders and chest. Reclined twists also aid in the digestive process and rinse toxins from your body. Bend one knee and draw it into your chest, then pull it across your body with your opposite hand. Extend your other arm to the side and turn your head to look at that hand. Keep your shoulders flat and breathe deeply, allowing the stretch to deepen with each exhalation. Return to the start and repeat on the other side. This exercise calms, centres and soothes the brain, helping relieve stress as well as back and neck pain. It also helps balance the endocrine system, which regulates your hormones and nervous system. Get on your hands and knees and spread your knees wide while keeping your big toes touching. Sit back and rest your glutes on your heels and fold forward over your legs. Either reach your arms forward in front of you or alongside your legs and allow your head to sink into a pillow. This semi-inverted pose can help ease bellyaches, remedy cramps and alleviate migraine tension and anxiety. Create a support with firm pillows or folded blankets and place it by the headboard of your bed, leaving a few inches in between the board and bolster. Starting on your side, scoot your tail onto the bolster, then roll onto your back. Walk your heels up the wall until your legs are straight and your pelvis is comfortable on the support with your tailbone in the little space between the headboard and the bolster. Close your eyes, breathe and relax your body limb by limb from your head to your feet. This primal and relaxing pose, is traditionally done on the right side. Since the heart is on the left, rolling onto your right places your heart above the organs, helping regulate the pulse and allowing blood pressure to gradually reach homeostasis. Bring your legs down slowly from the wall and lie on your right side. Use your biceps as a pillow and allow your entire body to relax in any way that feels naturally comfortable for you, breathing deeply.